The symbols could also indicate whether a woman lived alone – a preferred target. 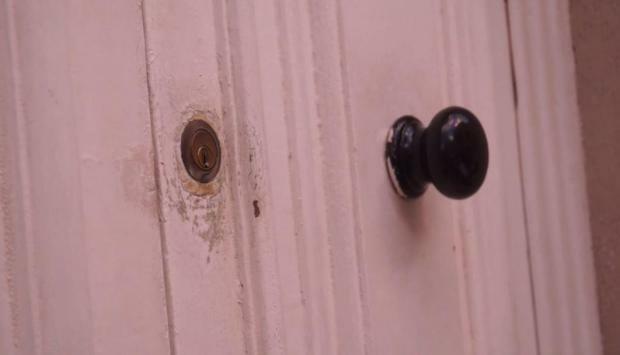 Police are investigating the reappearance of suspicious symbols marked on the facades of homes that they believe may be linked to an organised gang of burglars, the Times of Malta has learnt. Police sources working on the case said they had received a handful of reports in recent weeks from home owners who were concerned when they found odd symbols near their front doors. The markings may form part of a code used by organised crime groups to stake out a building that they plan on robbing. The phenomenon last hit the headlines in 2014 when a spate of robberies, mostly around the Sliema-St Julian’s area led the police’s Criminal Investigation Department and district officers to increase surveillance in the neighbourhood. A gang linked to the crimes was later arrested and specialised tools, master keys and several stolen items were discovered by officers on the case. Photos of the doodled symbols sent to Times of Malta by concerned readers in recent weeks have also started making the rounds on social media and police sources said that while they were taking the matter seriously, it was still too early to say with absolute certainty what the symbols meant and whether they were the handiwork of an organised crime group or not. The sources said that the symbols discovered on homes between the end of 2013 and throughout 2014 were meant to indicate whether a house had already been burgled or was worth targeting. They could also indicate whether a woman lived alone – a preferred target, if the residents were easily alarmed or whether there was a dog on the property. It could also indicate that the resident was a public official, or had a security alarm system. The symbols are similar to a system developed in the US during the 19th century by migratory workers, known as the hobo code. To cope with uncertainties, vagabonds would leave a coded symbol in chalk or coal to give directions and warnings to others in the brotherhood, seeking shelter, or on the lookout for somewhere to rob. Police who spoke to Times of Malta urged any resident who discovered one of the symbols on or near their property to report it to the police. Keeping doors and windows locked, and being vigilant were also advised by officers contacted this week.